In a first of its kind, this book attempts a comprehensive account of the old Vedic society with particular focus on the physical conditions of life during the Bronze Age in north western South Asia. Based primarily on textual evidence, the narrative relates wherever necessary to the known archaeological information from the area. With territorial kingdoms, walled urban places, specialized production of craft goods, large scale trade by land and sea, a broad spectrum service sector and a high end surplus producing peasant economy supporting all of these situates the Aryan discourse on an entirely different platform. 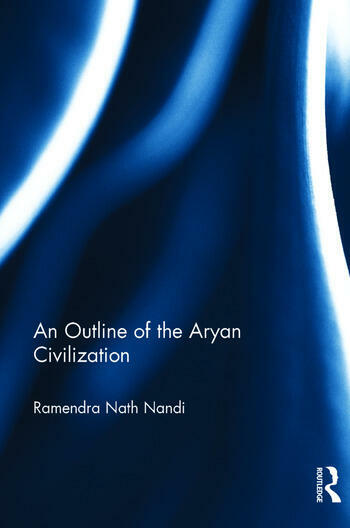 The book shows that the Aryans of the Rigveda with diverse forms of speech, physical features and funerary behaviour were far from the monolithic concept of a single people and a single culture. Hopefully, the book will help readers to escape the broad misinformation long circulating in history texts for schools, general readers and specialists. Extensive citations are also intended to enable interested readers to access the text on their own and ascertain for themselves what is true and what is false. R.N. Nandi is a former Professor of History at Patna University. His publications include State Formation, Agrarian Growth and Social Change in Feudal South India, ad 600-1200 (2000); Aryans Revisited (2001); Ideology and Environment: Situating the Origin of Vedic Culture (2009).